Yes, it has been a while. I have my reasons, like getting a job, which is what I was doing all last week, and not much else. Now things have settled down and my schedule’s pretty lax, so I can get back to blogging. Let’s talk about shoes. I wish I could be a diva and say I have like, 500 pairs, but I find the collecting of shoes to be tricky and extremely excessive. Kind of like the rest of my wardrobe. I find what works for me and I stick to it. I pretty much exclusively buy all my shoes from Target, because they have great basic styles and they’re cheap as hell. Recently they came out with a bunch of new pretty daring shoes which I’m not unhappy about. I want to be able to buy edgier stuff there. It means I don’t have to go through the hassle of going anywhere else. 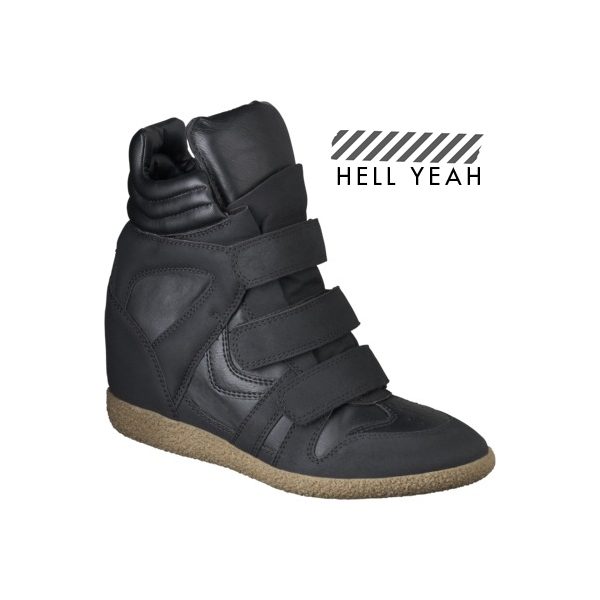 They also came out with Sneaker Wedges, which I heard about the first time through Door Sixteen. And I was intrigued, though certain I’d never be able to pull them off let alone afford any. Lo and behold Target comes out with some and I was curious. The next time I went there I thought I’d try them out, because I was *sure* they’d be uncomfortable. Me + Wedges, although better than regular heeled shoes, are terrible together. But these shoes! They are kickass. It’s actually been hard for people to notice they’re wedges, which, I guess whatever, though that kind of is the whole point of them. But they’re SO COMFORTABLE. I find any excuse I can to walk in them, and the price is right. They’re definitely not for everyone. But I dress pretty conservative usually, and these are kind of a nice upgrade to my outfits. Suffice to say, I feel pretty awesome in these shoes. On the subject of shoes, I saw these posted about yesterday on what I assume is the most-official-we’re-gonna-get Peter Saville Facebook page. Get to know me after a while, you’ll know that I worship at the altar of Mr. Saville. His work is highly seminal for me. More on that later, possibly. 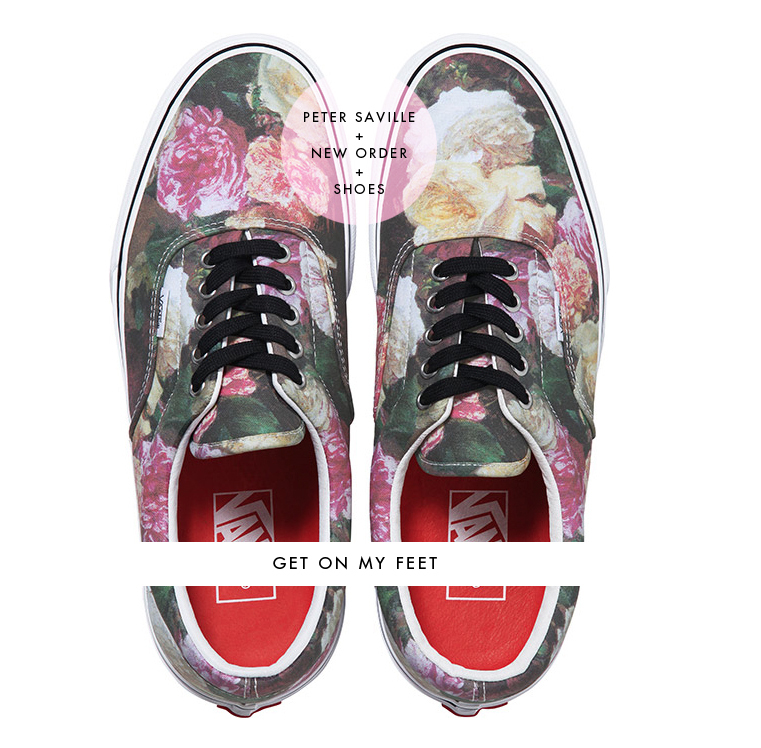 Anyway, Vans has made a shoe based off of the album artwork for Power, Corruption & Lies, by New Order. Basically, I can wear shoes representing, all at once, one of my favorite bands, my 2nd favorite album cover, and my #1 favorite designer. They go on sale on Thursday. Please, Please don’t be expensive. There, I’ve settled my vanity quota for the week.